The fourth annual Latin food, wine and spirits fete, hits in 2016, Los Angeles March 18 to 21, and San Diego August 12 to 15. Last year’s festival drew over 20,000 attendees and the signature event, Grande Tasting, features an impressive lineup of culinary talent, restaurants, wineries, distillers, along with tastings, cooking demos, live music and exclusive chef-collaboration meals. Spirits of the Americas Party (Friday March 18). Los Angeles Latin distilled spirits enthusiasts will kick off the 2016 Latin Food Fest by tasting tapas from the hottest restaurants and cocktails prepared by top mixologists from an exhilarating collection of international distilleries representing Bacanora, Cachaça, Mezcal, Pisco, Raicilla, Rum, Sotol and Tequila. The 4th annual ¡Latin Food Fest Grande Tasting is an all-inclusive Latin food, wine and spirits-tasting journey to the Caribbean, Central and South America, Mexico, Portugal and Spain. Wines from Argentina, California, Mexico, Spain and spirits such as Bacanora, Cachaça, Mezcal, Raicilla, Rum, Sotol and Tequila pair deliciously with the cuisine. VIP pass holders get in at 11am and into the VIP Lounge for Spanish tapas, cooking demos, oysters, a gift bag, organic tequila, sparkling wine, massages and music. Latin Food Fest!’s brand partners includes The Lincoln Motor Company, Delta Air Lines, Jarritos, Northgate Markets, Anheuser-Busch, Grand Marnier, Bush Brothers & Company, KORBEL, Ibarra Chocolate, Mexico Lindo Hot Sauce, Camaronazo, Steuben Foods, Tepachito, Cupcake Vineyards, Las Palmas, Moët Hennessy USA, Hard Frescos, Mexico Tourism Board, Aveníu Wines, La Brea Bakery, Tito’s Vodka, and E.J. Gallo Wines. The Second Annual Newport Beach Wine & Food Festival with Title Sponsor American & Southern Wine & Spirits releases the final schedule of events, boasting a savory lineup of culinary delights and tasting opportunities. From Friday, October 2, through Sunday, October 4, food and wine lovers will experience a weekend celebrating Orange County’s best cuisine and chefs, while showcasing world-renowned culinary masters, award-winning wines, acclaimed wine experts and more. Starting with the Launch Party on Friday night, journey through a weekend full of tasting, sipping and learning at the weekend’s main event, the Daytime Festival on Saturday and Sunday, and an interactive Riedel wine glass tasting event on Sunday morning. The weekend kicks off with the Launch Party benefitting Festival charity partner Project Hope Alliance on Friday, October 2, from 6:30 to 9:30 p.m. at Island Hotel’s Oak Grill & Aqua Lounge. 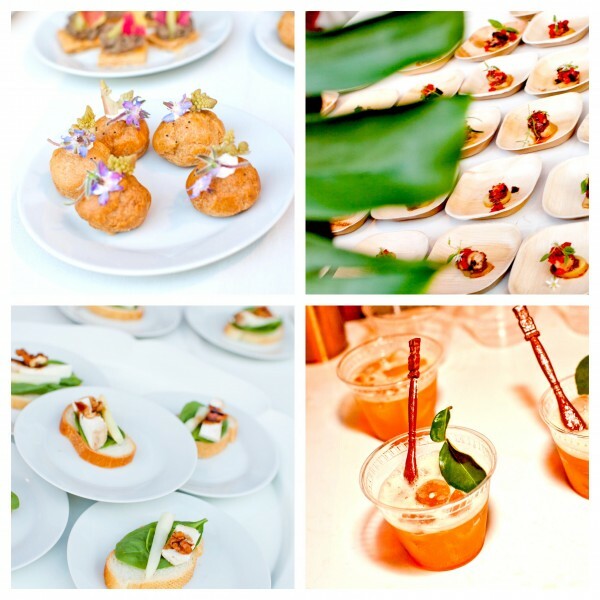 Celebrity chefs, Festival participants, gourmands and VIP’s will enjoy fine wines, cocktails and live music. Hand-passed hors d’oeuvres will be prepared by Oak Grill Executive Chef Marc Johnson, who is creating a seasonal menu unique to this event. The event will offer once-in-a-lifetime food, wine and travel experiences to bid on during the evening’s silent auction. Net proceeds from the auction items and donations will benefit Project Hope Alliance. Tickets to the Launch Party are priced at $125 and sold separately from Daytime Festival tickets. On Saturday, October 3, and Sunday, October 4, from 1:00 to 5:00 p.m. each day, the Daytime Festival will be held on the outdoor grounds of the stunning, mod-chic Newport Beach Civic Center. One ticket to the Daytime Festival grants guests unlimited access to all event programming and tastings including live cooking demos with Bravo TV “Top Chef Masters” and “Top Chef” stars, tastings from 32 Orange County restaurants, wineries pouring over 200 fine wines, wine tasting panels led by master sommeliers, mixology courses, handcrafted cocktails, imported beers and live jazz. General Admission Daytime Festival Tickets are $150 per day; Weekend Passes for Saturday and Sunday are $250; VIP Daytime Tickets are $225 per day; All-Inclusive VIP Weekend Pass includes Launch Party and priced at $425. Saturday’s Daytime Festival begins with critically acclaimed wine tasting panels led by some of the country’s most notable master sommeliers. These panels are informative and interactive for both connoisseur and novice wine drinkers as they’re guided through educational tastings. There are only 142 master sommeliers in the country; the Festival is proud to have five of them including, Fred Dame and Michael Jordan (as seen in the hit movie Somm), as well as California Masters Steven Poe, Thomas Price and Sur Lucero. Learn “How to Taste like a Master Sommelier with the Secrets of Blind Tasting” from 1:15 to 2:00 p.m. on Saturday. During Saturday’s live cooking demonstrations, Bravo TV’s “Top Chef Masters” will once again be duking it out as world-famous chefs Rick Bayless and Hubert Keller showcase their culinary mastery on the grand Sub-Zero Wolf outdoor kitchen stage. Both of these chefs went head-to-head on “Top Chef Masters” Season 1. Rick Bayless ultimately won the season and at this year’s Festival, guests will have the opportunity to see them live on stage. From 2:45 to 3:30 p.m. Hubert Keller will be preparing French cuisine live with local chef Pascal Olhats; from 3:45 to 4:30 p.m. Rick Bayless will show guests how to create upscale Mexican cuisine. Two Grand Tasting Pavilions will delight all senses as they bring together some of the best restaurants in Orange County with world-renowned, boutique and “cult” wineries pouring unlimited tastings. These white peaked tents adorned with crystal chandeliers, include savory bites prepared and served by 16 restaurants and each of their executive chefs. Saturday’s restaurants include: RED O, Twenty Eight, The Winery, The Loft, Oak Grill, Pelican Grill, Mastro’s Steakhouse, Mastro’s Ocean Club, Canaletto Ristorante Veneto, Driftwood Kitchen, Tamarind of London, Tommy Bahama Island Grille, True Food Kitchen, Filomena’s Italian Kitchen, Honda Center, Waterline and B Candy. Grand Tasting Pavilions are open from 1:00 to 5:00 p.m. The Festival also entices spirits, beer and jazz aficionados, in addition to food and wine. Guests will enjoy mixology courses led by Southern California Southern Wine & Spirits Director of Mixology, Tricia Carr, as she takes the mixology stage to educate the crowd on how to become the ultimate at-home bartenders. Handcrafted cocktails from Absolut Elyx, Cruzan Rum, Duke Spirits, Laphroaig and Roca Patrón will be served throughout the Festival grounds. Stella Artois is back for year two, offering tastings of a variety of their most popular imported brews. Everything will be enjoyed over sounds of Lauren & The Mike Frost Band playing at the jazz lounge, designed by Z Gallerie. Mixology courses are from 1:30-1:40 p.m., 2:30-2:40 p.m. and 3:45-3:55 p.m.; Stella Artois and cocktails offered all day; jazz music live all day. Sunday begins with another tasting panel led by Master Sommeliers Michael Jordan, Steven Poe, Thomas Price and Sur Lucero, which takes place on the outdoor Sub-Zero Wolf stage. An all-new panel will guide guests through an educational tasting journey with premier Pinot Noir wines. The “Pinot Noir 101” seminar will teach guests the in’s and out’s of enjoying the most seductive of all red wines, exploring four famous wine regions on the California Coast. Sunday’s tasting panel is from 1:15 to 2:00 p.m.
Sunday’s first cooking demo will feature “Top Chef Masters” Season 1 Alum Chef Rick Moonen joined by long-time friend and local OC chef, Chef Alan Greeley of The Golden Truffle. “Top Chef” Season 11 Finalist Shirley Chung will lead the Festival’s first Top Chef Home Cook Challenge with “Top Chef” star coaches and judges, Brian Huskey, Brooke Williamson and Louis Maldonado. Four guests from the audience will be chosen to be coached by each celebrity chef and then compete on stage. One winner will be crowned as the Festival’s very first “Home Cook Top Chef” while winning up to $1,000 in high-end culinary prizes. Demo with Rick Moonen and Alan Greeley is from 2:45 to 3:30 p.m.; Top Chef Home Cook Challenge is from 4:00 to 5:00 p.m. The Grand Tasting Pavilions will present an entirely new lineup of 16 restaurants with executive chefs serving gourmet tastings of their signature cuisine. Wineries from Saturday will be returning Sunday, giving weekend guests the chance to taste as many wines as possible. Sunday’s restaurants include: Selanne Steak Tavern, Studio, Fig & Olive, Montage Laguna Beach, Oak Grill, Aqua Lounge, Slapfish, Boathouse Collective, Del Frisco’s Grille, AnQi, Andrea Pelican Hill, Roy’s, Stonehill Tavern, Honda Center, A&O Kitchen + Bar and B Candy. Grand Tasting Pavilions are open from 1:00 to 5:00 p.m.; for VIP ticket holders, they open at 12:00 p.m.
Mixologist Tricia Carr returns on Sunday to showcase her cocktail concocting skills with new mixology courses. Guests will also enjoy handcrafted cocktails from Absolut Elyx, Cruzan Rum, Duke Spirits, Laphroaig and Roca Patrón, as well as Stella’s selection of imported brews. On Sunday, Cooper Phillip will take the jazz lounge stage to delight guests with her smooth, sensual vocals and band. Mixology courses are from 1:30-1:40 p.m., 2:30-2:40 p.m. and 3:45-3:55 p.m.; Stella Artois and cocktails offered all day; jazz music live all day. Learn how to taste wine the “right” way out of the “right” type of wine glass with Riedel’s very own Chris Dillon. This highly interactive and entertaining course will guide guests through tastings of three different wine varietals including Pinot Noir, Syrah and Cabernet Sauvignon, while tasting them out of three different Riedel glasses. Guests will not only come away with a whole new outlook on tasting and drinking wine, but will also take home a three-piece Riedel wine glass set, a $125 value. This event takes place on Sunday morning, October 4, from 11:00 a.m. to 12:30 p.m. at the Newport Beach Civic Center. Tickets are priced at $75 and sold separately from Daytime Festival tickets. Proceeds from the weekend of events benefit charity partner, Project Hope Alliance, ending the cycle of homelessness one child at a time. The Orange County nonprofit provides children with the tools and opportunities that they need to learn their way to a better tomorrow. Currently, Project Hope Alliance supports over 300 children attending 39 different schools in 21 cities, throughout Orange County. The Festival has the sponsorship support of local and national corporations, many of which will be having luxurious lounges and special activations during the Daytime Festival. More information on the Newport Beach Wine & Food Festival is at www.newportwineandfood.com or call (888) 511-FEST. For ongoing updates, follow the Festival on Facebook, Twitter and Instagram. My favorite Chef of the night was Bree Miller! She prepared a savory mac and cheese with cornbread (which would disappear as soon as she served them), cookies and milk (OMG, I had four-don’t tell anyone), cheesecake stuffed strawberries and coconut cupcakes. Chef Miller was gracious and took plenty of pictures, spoke to patrons and didn’t judge me for returning many times. Another favorite Chef was Robert Liberato who is from STK who prepared a Charred Angus NY Steak. The steak was rare, but very delicious and flavorful. The funniest Chef of the night was from Badmaashi LA (I do not remember his name). He spoke to everyone, while patrons stood in line (which was very long) he entertained patrons by engaging everyone in a conversation. He prepared a lamb burger (I don’t particularly care for lamb)-but this was pretty good, it was spiced to perfection! I think LA Food and Wine gets better each year. I wonder how they will outdo themselves next year. I am hoping that one of these years Gordon Ramsey will host the event. Maybe one day he will invite me to his restaurant? Who knows one can only dream…Until next time loves…. WHAT: The fifth annualLos Angeles Food & Wine Festival, presented with founding partnersFOOD & WINE and Lexus, is set to feature three-nights and four-days of unrivalled tastings, dinners, lunches, seminars, book signings, cooking demonstrations, and special events, showcasing the finest in food and drink culture. 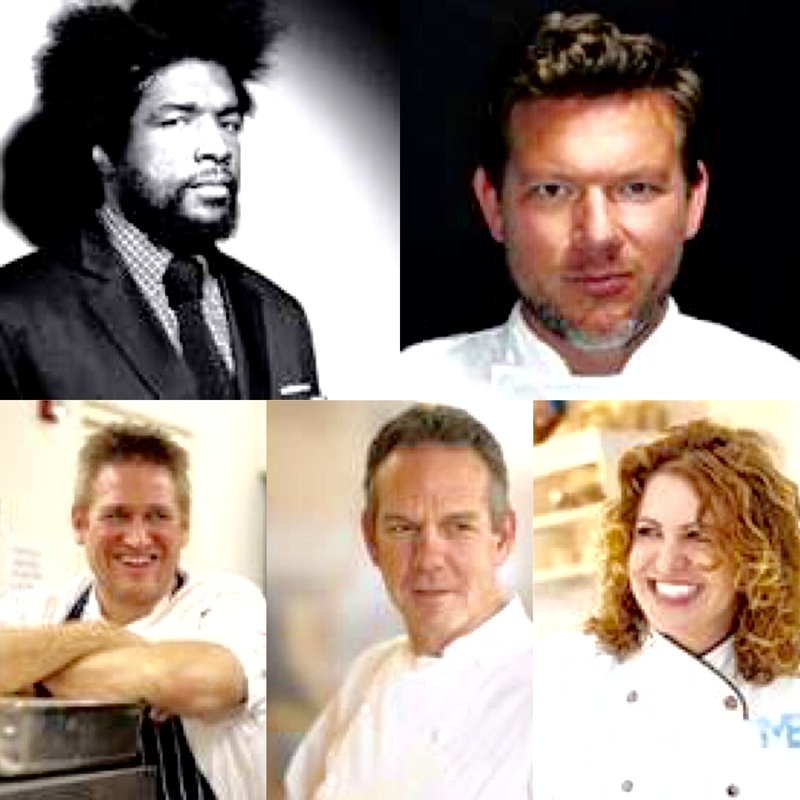 In past years, the star-studded lineup has included celebrated chefs such as Daniel Boulud, Curtis Stone, Giada De Laurentiis, Rick Bayless, Wolfgang Puck, Nancy Silverton, Iron Chef Masaharu Morimoto, Thomas Keller, Roy Choi, Michael Chiarello, Michael Voltaggio, Robert Irvine, Guy Fieri, Fabio Viviani, andGraham Elliot, as well as local favorites includingTim Hollingsworth, Michael Cimarusti, Suzanne Goin, Ludo Lefebvre, Jon Shookand Vinny Dotolo, Jessica Koslow, Ari Taymor, Ori Menashe, Josef Centeno, Sang Yoon, Ben Ford, andRay Garcia, to name a few. Marquee events slated to return includeLive on Grand,Asian Night Market, the Power Lunch series, exclusive chef collaboration meals, andlive musical performances from award-winning artists. In the next several weeks, the festival will be announcing confirmed programming and participants for 2015. 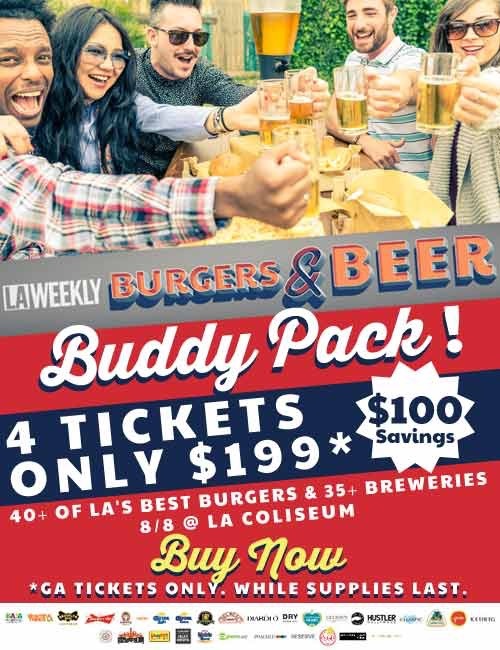 Please continue to checkwww.LAFW.com for updates! WHERE: Headquartered in the heart of Downtown Los Angeles, with main events directly in front of the iconic Walt Disney Concert Hall (with closures along Grand Avenue, between 1st and 3rd street),the 5th annual Los Angeles Food & Wine festival will also feature tastings, dinners, lunches, seminars, cooking demonstrations, and special events located across parts of greater Los Angeles including Downtown, Beverly Hills, Santa Monica, Hollywood, and more. PHOTOS: Images of the Los Angeles Food & Wine festival (2014), for pre-event coverage, are available to view. 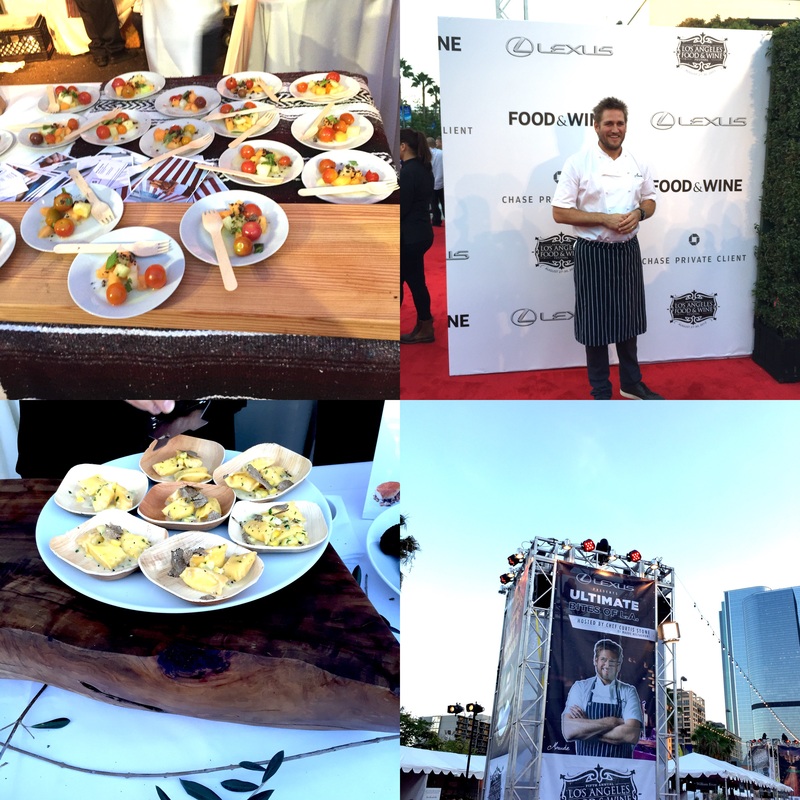 Guest blog from Monica G.
Her review about LA Food and Wine Festival. 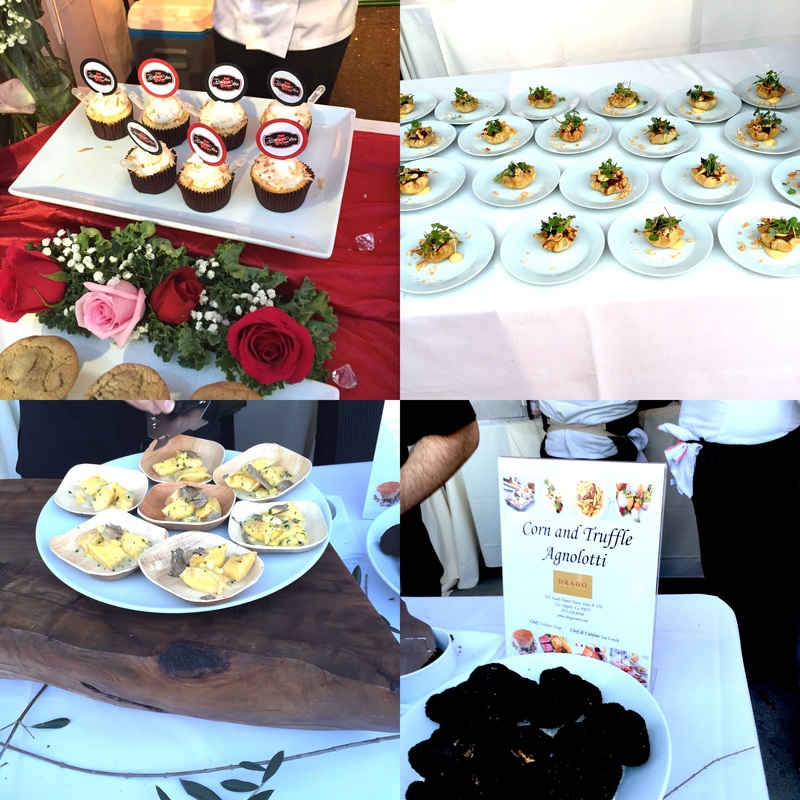 The Los Angeles Food and Wine Festival was Fabulous! Guests had the opportunity to taste celebrity chef’s food bits around the world creations and try different types of wine. They were beef, salmon, pork, crab, salad, fruit creations, desserts, and let’s not forget the wine. My favorite food of Sunday night (and there were many) was Chef Chad Coby. Chef Colby made this awesome pasta with cream sauce and chicken which was DELICIOUS! This “fat” girl went back to his station three (3) yes I said it three times! I couldn’t contain my food cravings. Then toward the end of the night, Chef Colby made this awesome dessert (a type of custard). As I ventured to other food stations, with wine of course, I tried Adrian Giese (Mastro’s Steakhouse Chef) steak. As you all know, this is a FABOULOUS steakhouse, which I had the opportunity to dine at the restaurant in Costa Mesa (it is pricey, however well worth the dining experience). Let’s just say I went back for more steak a few times, as it was cooked medium rare and oh so juicy with a little spice. Bravo Chef Giese! Anytime you need me to sample your new ideas, I am here for you! I encountered another Chef, John Cox who was very funny, (can you believe I tried to sneak to the front of the line?) well the line was long so I had to investigate right? Chef Cox stated, well you have to wait like everyone else, but if you tweet me, I may just “consider” letting you in front. Well let’s just say, I had to go back to the end of the line, but it was well worth the wait, it was DELICIOUS and went back to the end while eating the beef for more. No need to say where’s the beef as it was right there! Next was Joseph Conrad (Bourbon Steak) which was very good. I am going to travel to Glendale, just to try more bourbon steak. Lastly, there were all types of wine. My favorite wine of the night was from Kracher of Austria. I couldn’t get enough of this wine, it was sweet and tasty! Last but not least, “Common” the rapper and actor closed the wine festival with a spectacular musical performance! Everyone was dancing, even an older couple I met! Well everyone this is my very first blog as the talk show host, Wendy Williams always state “Say It Like You Mean it”, and I did. Until next time, as I sing Diana Ross “I’m coming out” as a blogger that is!